The Vaas above? He didn't always exist. 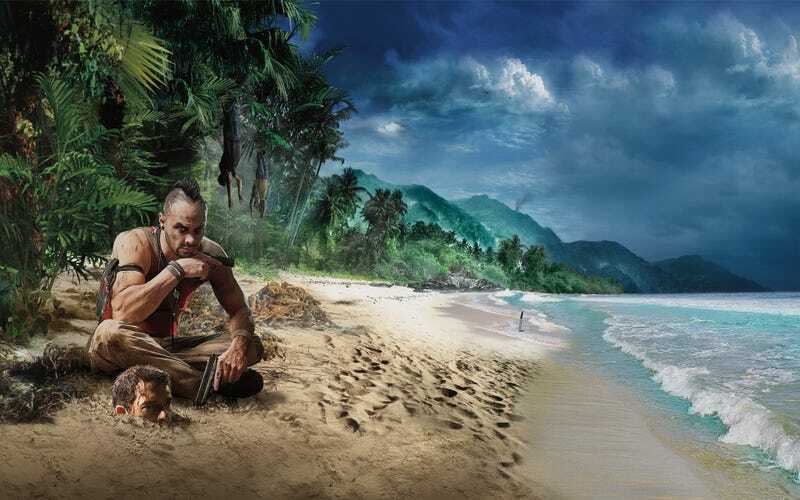 Months ago, we learned that Far Cry 3's Vaas wasn't originally in the game. Vaas, with his memorable 'did I ever tell you the definition of insanity' came as an inspiration from the actor Michael Mando. When Mando came in for an audition, he did almost the exact opposite of what Ubisoft asked for. He didn't get the part, which was described as a 'sociopathic, stoic and unemotional' character. They told him they'd make a small character for him instead. That's not exactly what happened, of course. After Mando's audition, Ubisoft started redrafting Far Cry 3's villain. The big, brutish villain then became a burn victim with a "volatile, explosive, rage-filled" personality. And then, eventually, Ubisoft landed on Vaas as we currently know him, and they hired Mando as well. Thankfully, that is. The original villain looked boring and cliche. Check out the other designs at IGN.